At first, you wouldn’t think there was much connection between a snow-covered forest in Germany, and a sunny salt lake in Australia. My PhD project investigates C4 photosynthesis in Tecticornia, a genus of succulents native to Australian salt lakes (Photo 1). Through the support of the R.N. 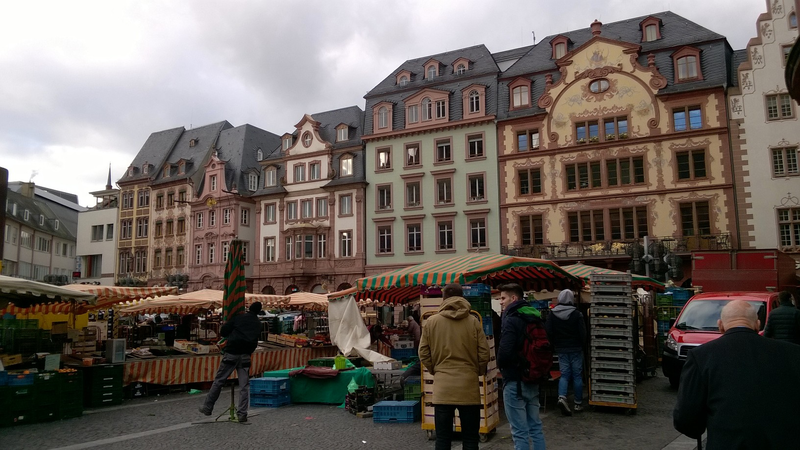 Robertson Travelling Fellowship, I travelled to Mainz, Germany to complete part of my research, supervised by Dr. Gudrun Kadereit at the Johannes Gutenberg Universität Mainz. Photo 1: Tecticornia indica subsp. bidens, a C4 species. An example of a vegetative article is shown. Tecticornia is a genus in the family Chenopodiaceae. These plants are halophytes, and the majority of species are endemic to Western Australia. Tecticornia species have highly reduced features, an adaptation to the harsh conditions in which they live. Their stems and leaves are fused into cylindrical structures called vegetative articles (see photograph included). Their flowers are embedded in these vegetative articles, with only the stamens visible. This leaves few morphological features to identify species, and discerning between species can be challenging. In addition, hybridisation and variation in ploidy levels are common. Previous phylogenetic studies have found low genetic diversity between species. The phylogeny of the genus remains unresolved, and the relationships among the species are not clear. Tecticornia currently includes two C4 species and 39 C3 species. These C4 species among a large number of C3 species make it an interesting genus for studying the steps in the evolution of C4 photosynthesis. 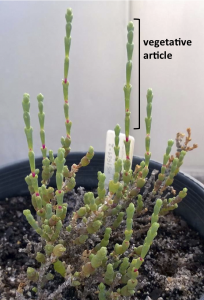 The evolution of C4 photosynthesis involves changes in anatomy, protein localisation, and expression, and my PhD project sets out to study these steps in Tecticornia. However, before these studies can be completed, the C3 species most closely related to the C4 species must be identified. My aim during my time in Germany was to use the external transcribed spacer (ETS) region as a nuclear marker to construct a phylogeny of the genus. Previous studies have used chloroplast markers and the internal transcribed spacer region (ITS) marker, and information from the ETS marker would further contribute to resolving the phylogeny of the genus. A question I was asked a lot was “Why would a Western Australian student, studying a Western Australian genus, come to Germany?” Members of the Kadereit lab (Photo 2) are experts in the family Chenopodiaceae, conducting studies into the phylogenetics, biogeography, anatomy, and taxonomy of a wide range of species in this family. 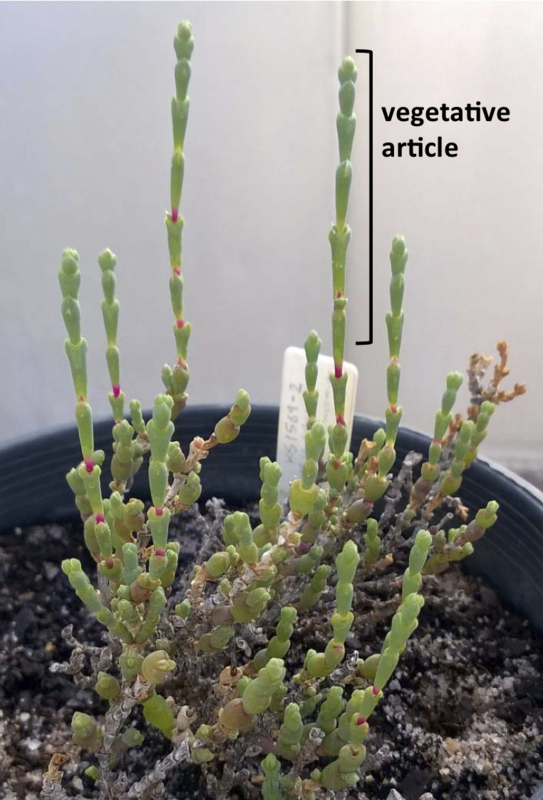 Members of the lab have completed studies into particular genera, and broader-scale studies of the family, and have integrated these studies with their extensive knowledge of the biology of the plants. Photo 2: Ice-skating with Gudrun, and other students from the Kadereit lab. I learnt how to extract total DNA from dried herbarium tissue, amplify the ETS fragment, and determine sequences from over 70 samples. These sequences were aligned, and I was taught how to use various programs to construct phylogenetic trees. The phylogenetic reconstruction was a lot more challenging than first expected. The amplification of paralogous sequences caused unusual branch lengths in the first trees constructed, and conflict between trees using different markers. Some samples had to be repeated with different primer pairs to obtain the orthologous sequences. The amplification of paralogues is an unusual problem, and is thought to be due to recent hybridisation between species. The ETS phylogeny, combined with the ITS marker, had greater resolution compared to previous studies. A number of well-supported clades could be seen, dividing the genus into groups. The position of the C4 species indicates they form a separate clade. The phylogeny revealed that the Tecticornia are a very young C4 lineage. A rapid diversification and hybridisation, as seen from the paralogous sequences, make it a challenging genus to fully resolve. The information from this phylogeny will help choose further markers to fully resolve the species relationships in the genus. Photo 3. 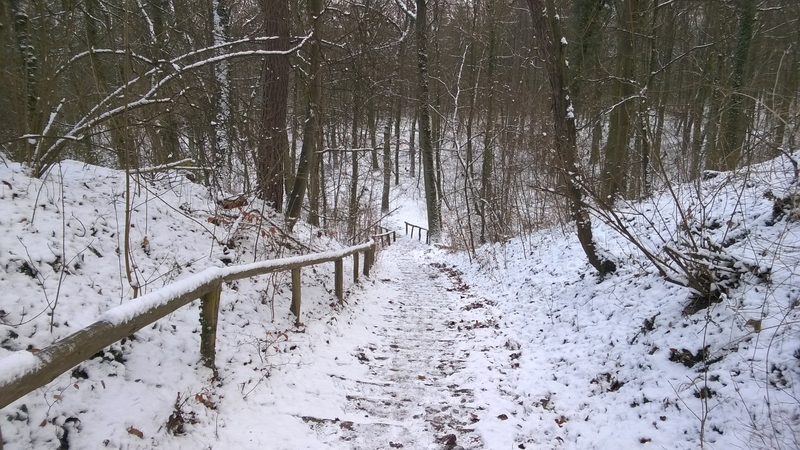 A snow-covered scene in the Lennebergwald forest, Mainz. I was also able to connect my findings with other studies. For example I was able to fit my phylogeny into a larger ETS phylogeny of a subfamily of Chenopodiaceae. My study, as well as increasing knowledge of Tecticornia, will also be valuable in resolving relationships across the whole family. I also picked up skills in hydrating dry herbarium material, and sectioning it to look at the anatomy; a difficult task for succulent tissue. I used my free time to explore the city of Mainz. 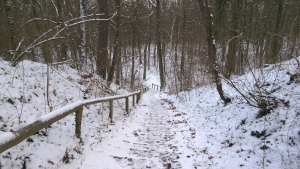 There was a beautiful forest close to where I was staying (Photo 3), and many museums and historical sites (Photo 4). Mainz, located on the Rhine River, has a rich history, and is the birthplace of Johannes Gutenberg, inventor of the first printing press. Photo 4. 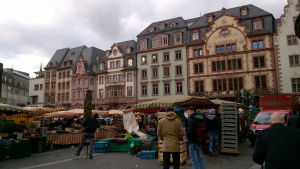 Exploring the markets in the centre of Mainz. Thank you to Gudrun Kadereit for her mentorship and teaching, and thank you to my other supervisors: Martha Ludwig from the University of Western Australia, and Kelly Shepherd, and Terry MacFarlane from the Western Australian Herbarium. 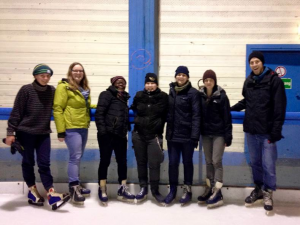 Thank you to Silvia Wienken and Max Lauterbach, and the members of the Kadereit lab who gave me advice and help during my stay: Michael Pirie, Uschi Martine, Katherina Bohley, and Denise Schmidt. And thank you to the ASPS for the honour of receiving the R.N. Robertson Travelling Fellowship, and allowing me to undertake this research.